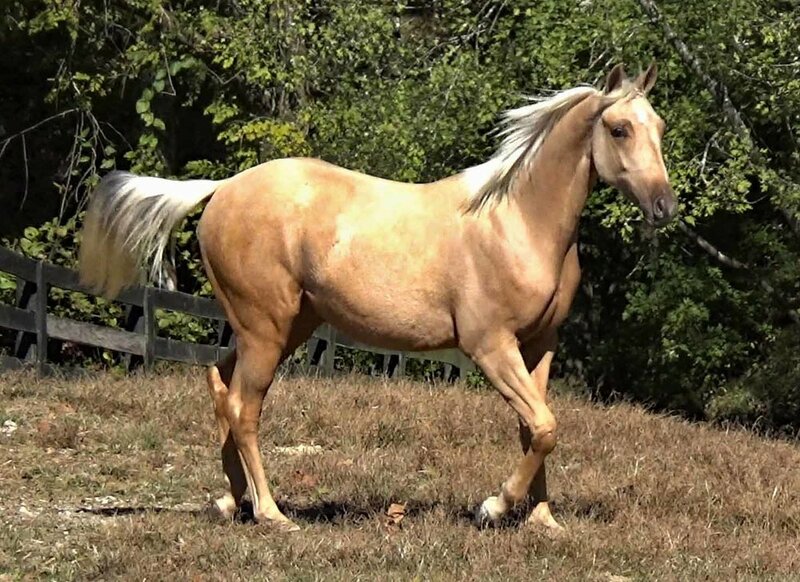 El Dorado Cruz is an outstanding 2017 Half Arabian Palomino Gelding. What a fancy guy. Long legs, well-shaped neck and such a pretty head. This boy looks like a purebred Arab, all wrapped up in a pretty Palomino coat. 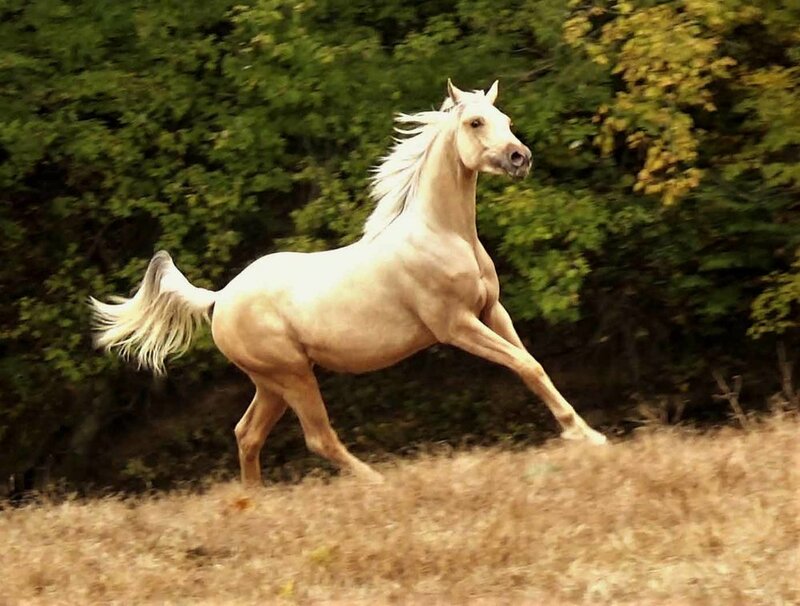 He has a silky ivory-hued mane and tail that just sparkles against that golden Palomino coat. 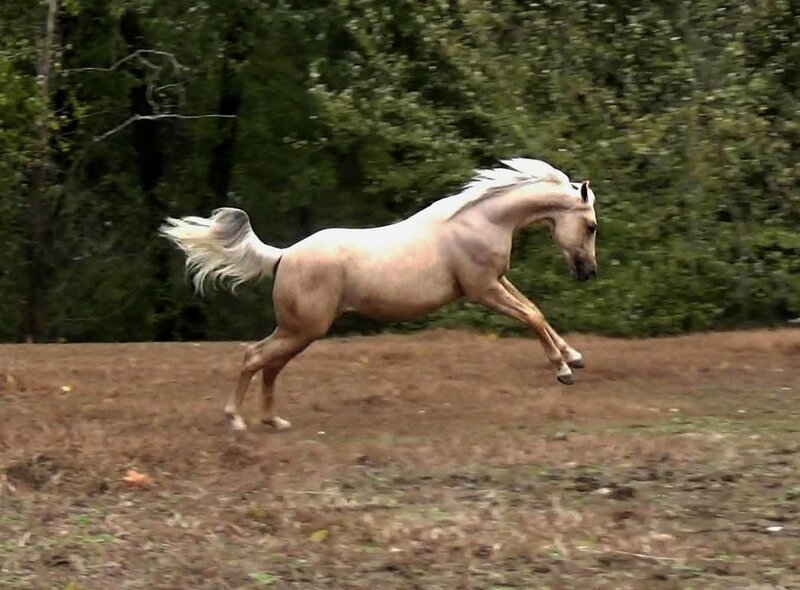 Cruz is sired by Mister Creme Genes who has many Champion Half Arabian foals including winners at Youth Nationals and Regionals in Western Pleasure, Sport and Halter. He is known for siring foals with excellent dispositions. His dam is a Champion in Western Pleasure and Halter. She was a natural Western horse with her soft gaits and easy temperament. So, it is no surprise that this golden boy is such a natural. 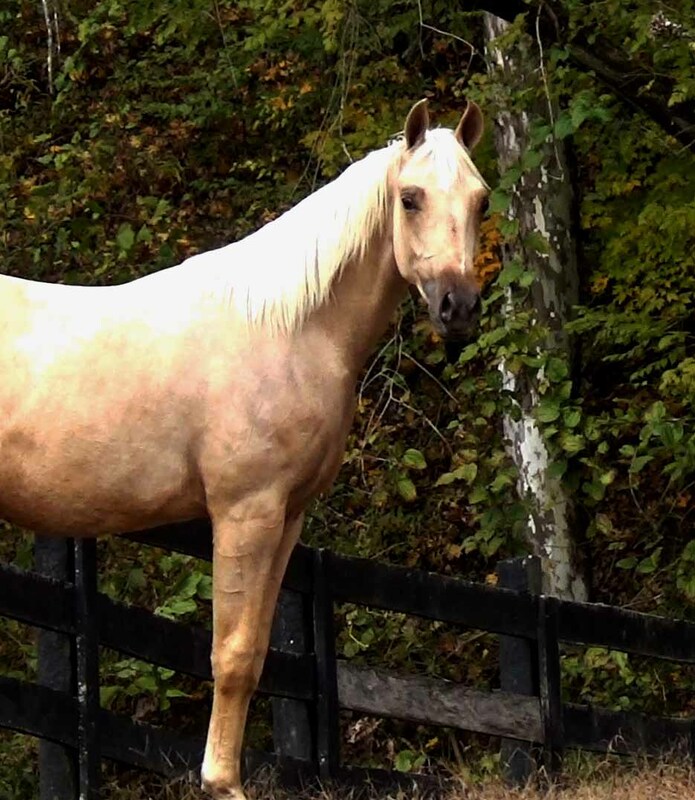 Cruz will be a darker golden Palomino. You can see his color coming through on his freshly bodyclipped coat. He is way ahead on his training and it will pay huge dividends to his new owner in the future. Starting under saddle will be an easy, natural thing as Cruz already has a solid foundation of trust and leadership. If you are looking for a serious halter and western prospect, check him out. UPDATE _ Cruz just won both of his KAHABA Production Classes at the 2 Fall Shows and also won his In Hand Trail Class. He is pretty and he has the brains to back it up. The best of both worlds! El Dorado Cruz going over the obstacles and more.